Seen here: Robin Egg Blue Cursive Font. 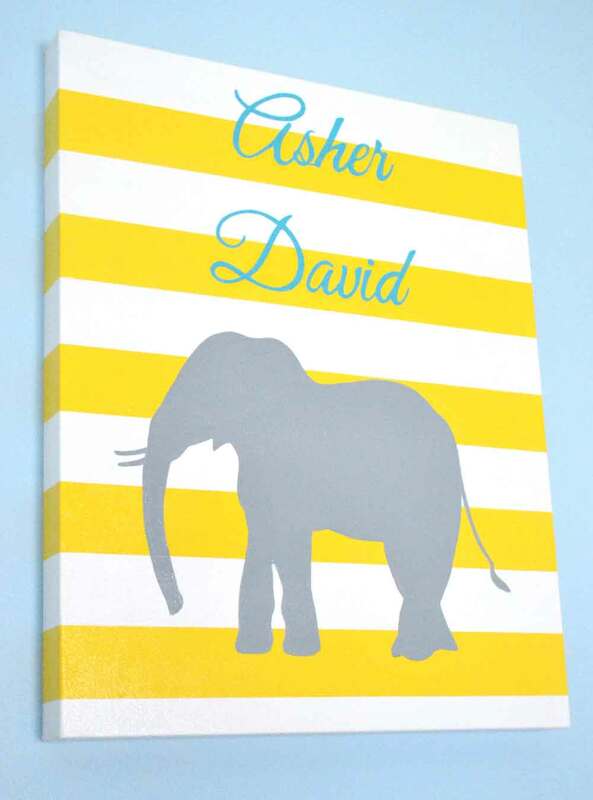 San Antonio Grey Elephant Silhouette on wide white and yellow stripes. Standard Canvas size with 3/4th inch profile also available. Ribbon to hang is also available. Please feel free to message me with any questions. I am happy to work with you and create the perfect canvas.